Would A V6 AWD Challenger Be The Most Sacrilegious Muscle Car Ever? The good news is we could also be getting a new Hellcat! There have been a lot of rumblings lately about the future of the Dodge Challenger. 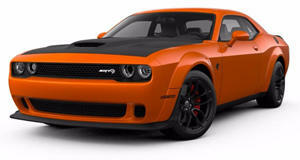 First we heard from Allpar that FCA may be putting a new turbo V6 capable of 400 horsepower into the muscle car. 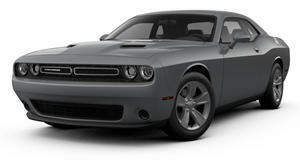 Now Automotive News (AN) is reporting that an AWD Challenger—a V6 model no less—will debut this fall. Not much more detail is known about the car, which Automotive News is calling the GT AWD. In addition to the GT AWD a new Hellcat is also set to debut, albeit after the V6 all-wheel-drive car. There’s now word on the Hellcat getting AWD, but AN is saying that a new wide-body rear-wheel-drive version called the ADR (American Drag Racing) will debut in 2017. We have been talking about the possibility of this model since last summer when Motor Authority first broke news of it. Not much is known about the ADR except for the fact that it could make up to 1,000 horsepower. While a drag-spec Hellcat is cool, we’re most interested in the GT AWD. Remember that this isn’t the first Challenger to send power to all four wheels. Dodge brought the Challenger GT AWD concept to SEMA 2015. That model was powered by a HEMI V8, though. An AWD V8 muscle car would be sacrilegious, but a V6-powered AWD Challenger doesn’t sound much better. Perhaps Dodge could put that rumored turbo V6 making 400 horsepower into the GT AWD? This could preserve the integrity of the 5.7-liter HEMI V8, which currently makes 375 horsepower in the Challenger and could end up being more expensive than the turbo V6. The argument would go something like this: Yes, you can have more horsepower but you also have to deal with AWD. Regardless of what engine is under the hood an AWD two-door muscle car is certainly an intriguing proposition. While purists will cry foul this new drivetrain would give Dodge an edge over the competition simply because it’s the only one offering such a thing. If the GT AWD proves popular the Hellcat could potentially get the same treatment. Speaking of the Hellcat, the ADR seems to be a sort of last hurrah before the Challenger moves to a new platform in 2018. We don’t anticipate the Hellcat dying out once the Giorgio platform becomes standard but to think that it will survive unchanged would be foolish. What better way to say goodbye to an iconic muscle car known for eating up drag strips than with a 1,000-hp drag-prepped special edition?